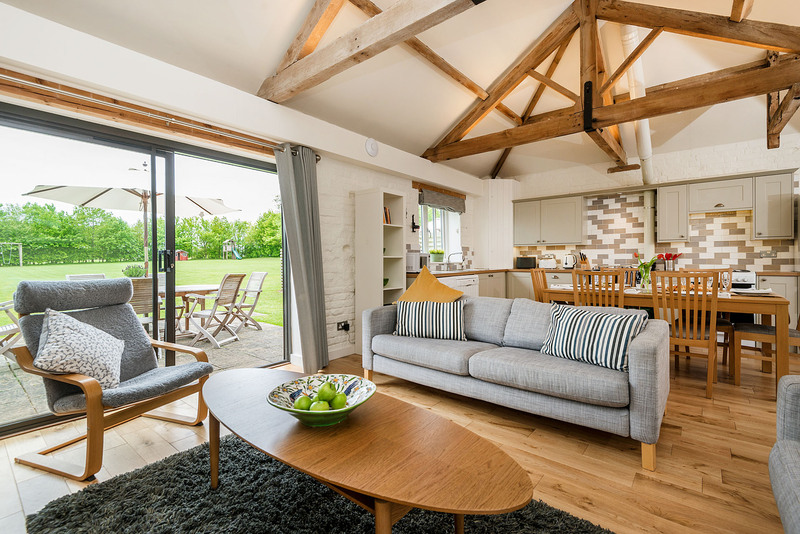 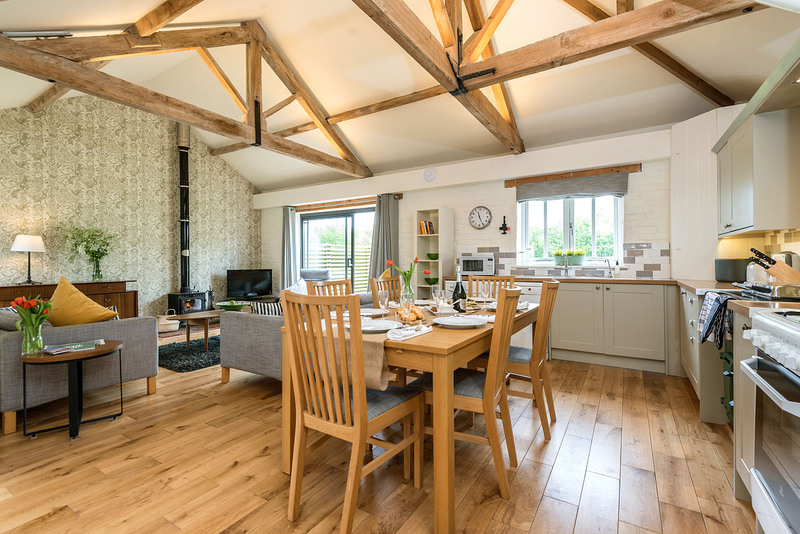 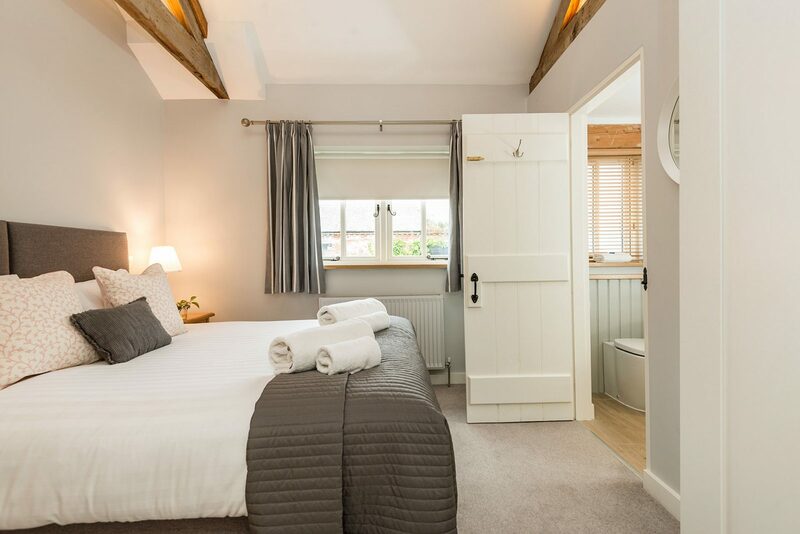 Swallow is the largest 4* cottage in terms of floor space with plenty of room for an extended family to spread out and unwind. 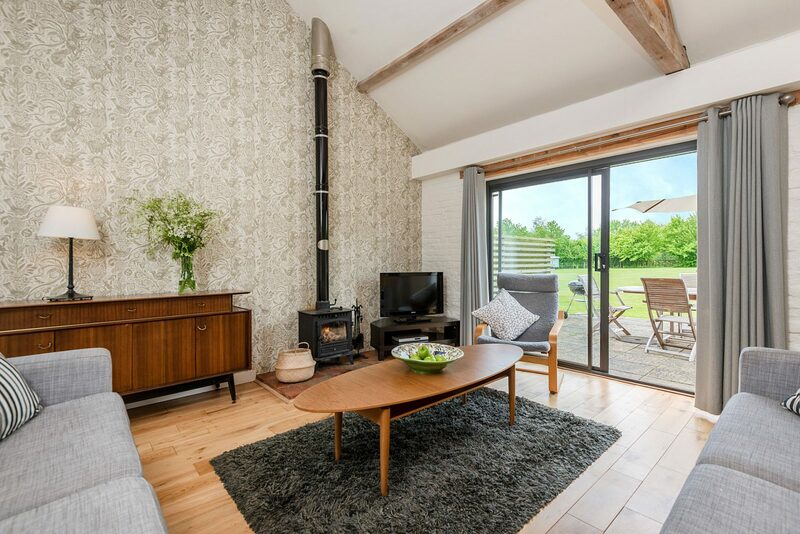 The cottage has a spacious living area with large glazed doors giving access to the private terrace for family barbeques. 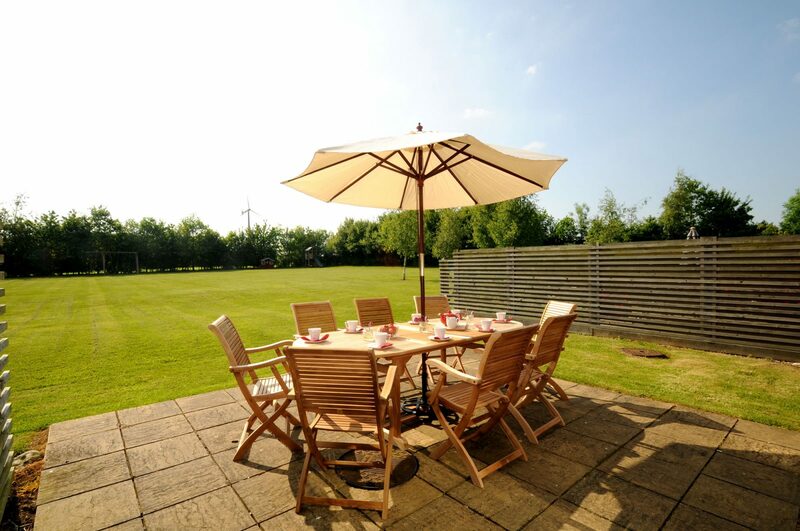 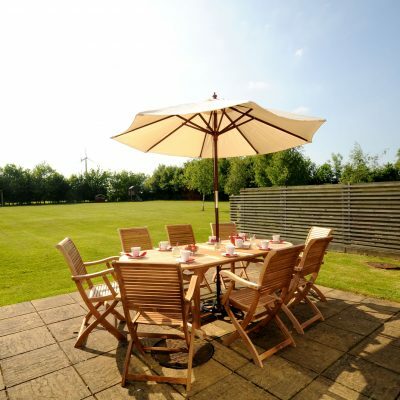 The living space opens onto a large fenced paddock area with children’s play equipment and space for them to run around in safety while mum and dad enjoy a glass of wine on the terrace. 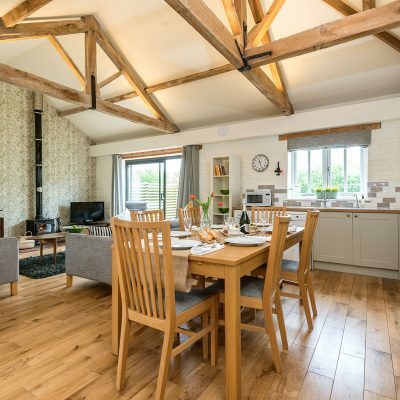 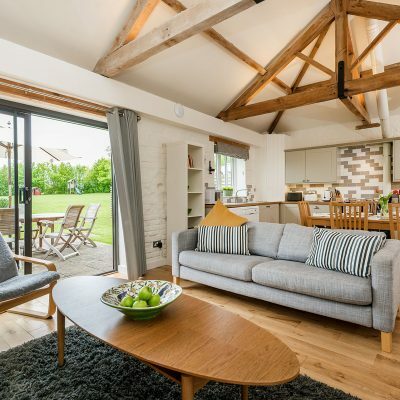 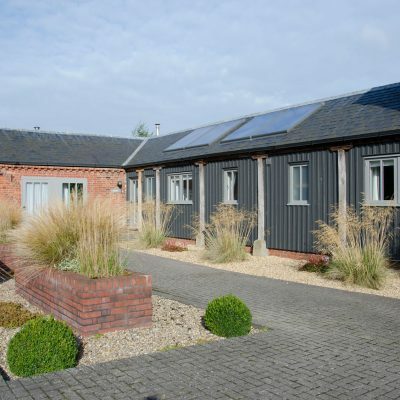 The open plan kitchen is well equipped with dishwasher, gas cooker and traditional country style Rayburn range cooker, fridge freezer, microwave and a dining table seating up to 10 (when the cottage is combined with Woodpecker). 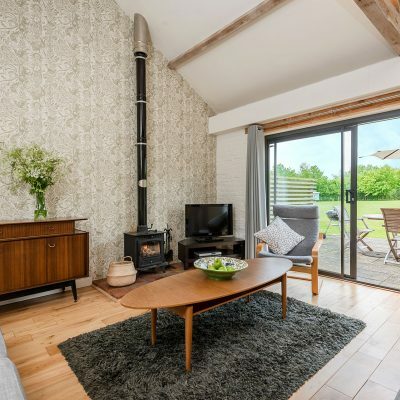 The seating has 2 large sofas and a comfortable chair, is equipped with a widescreen TV, DVD player and iPod dock and for those cosy winter evenings, a woodburning stove (logs and firelighters supplied). 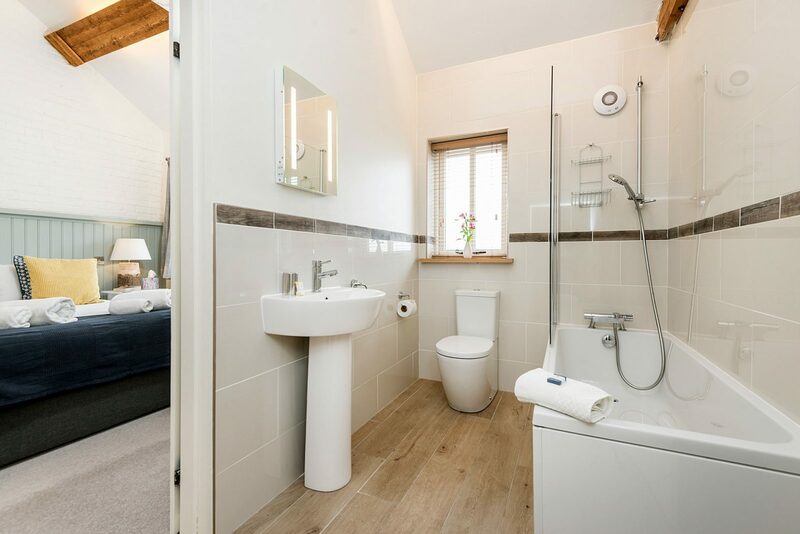 There is a Master Bedroom with king zip and link beds which leads to a Jack and Jill style family bathroom with an over bath shower, WC and hand basin. 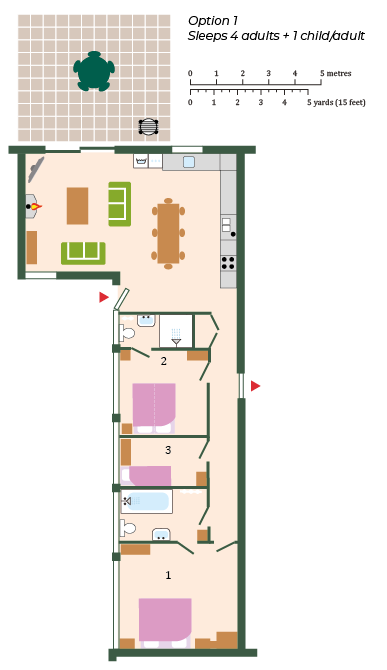 There is a single bedroom which has a 3ft single bed. 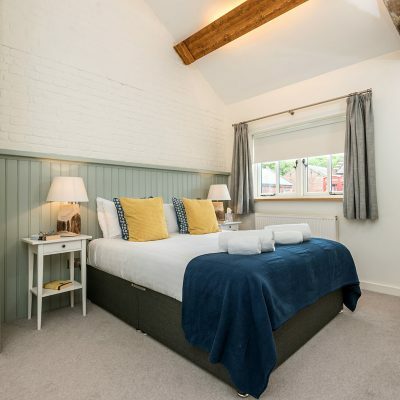 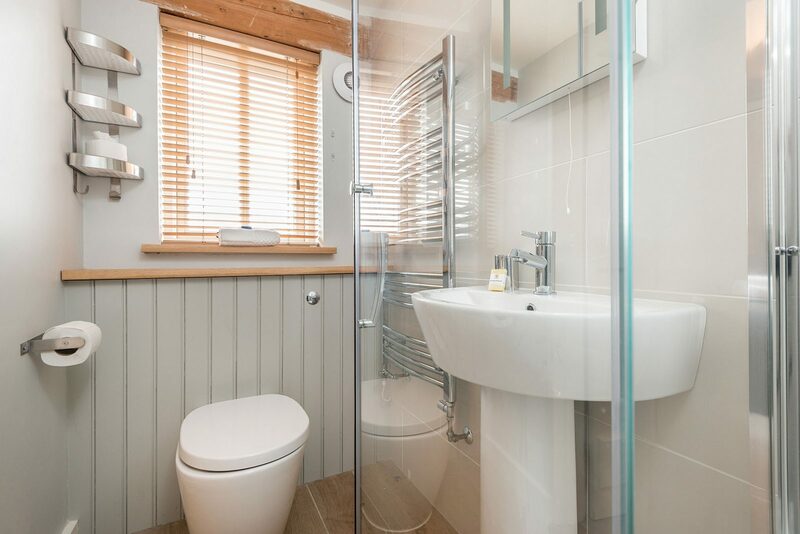 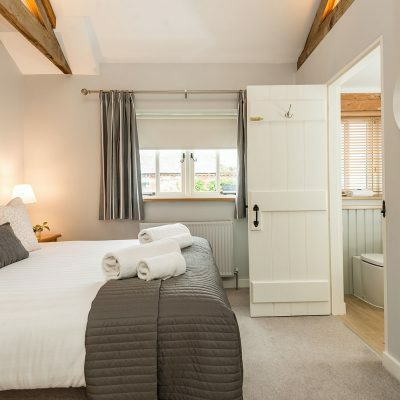 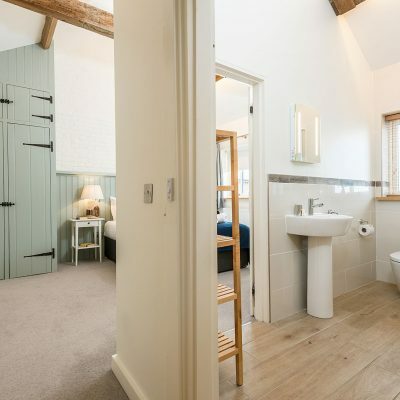 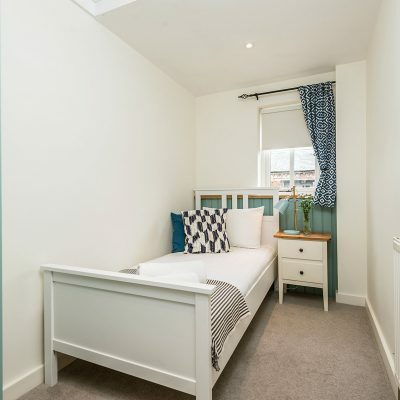 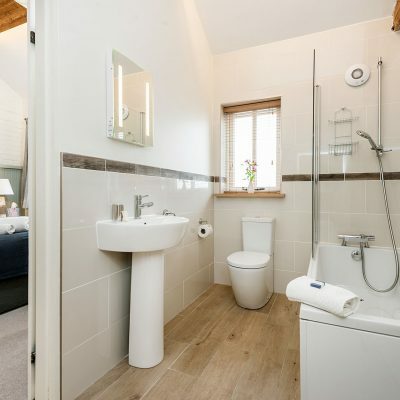 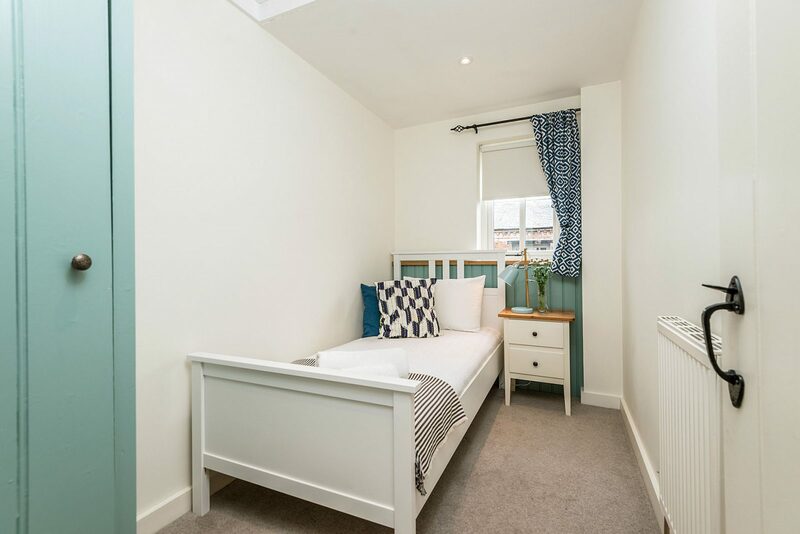 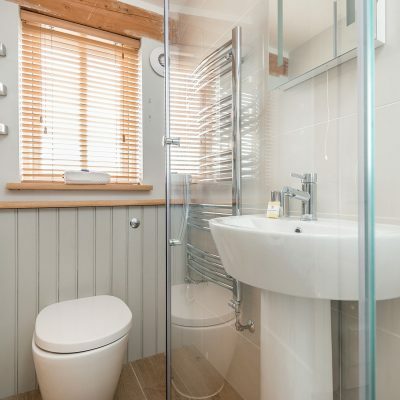 Then we have a 3rd bedroom which is a double bedroom with king zip and link beds which leads into a en-suite bathroom with a shower, WC and hand basin. 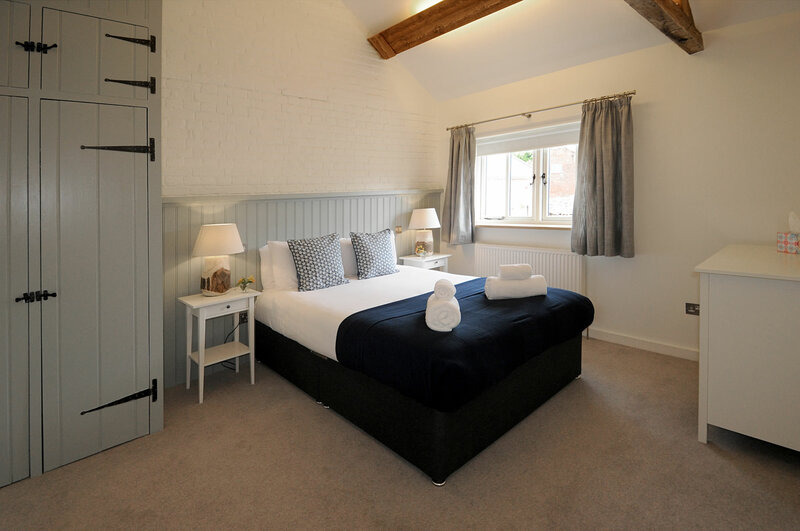 Travel cot, changing mat and high chair and other baby friendly extras can be booked in advance. 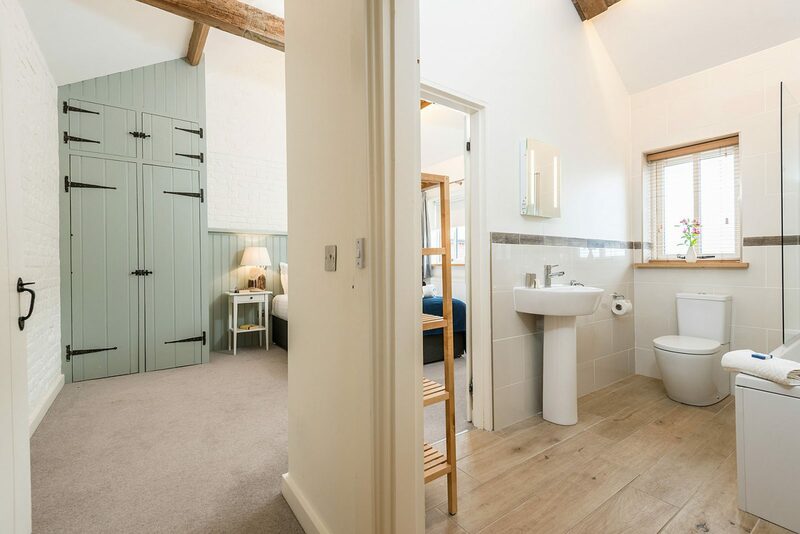 Swallow communicates with Woodpecker (sleeps 5) between the hallways for extended family get-togethers or friends’ reunions. 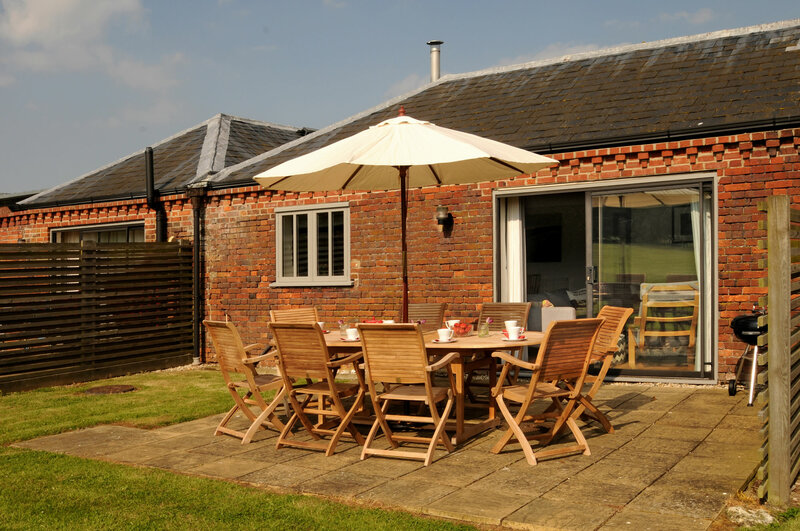 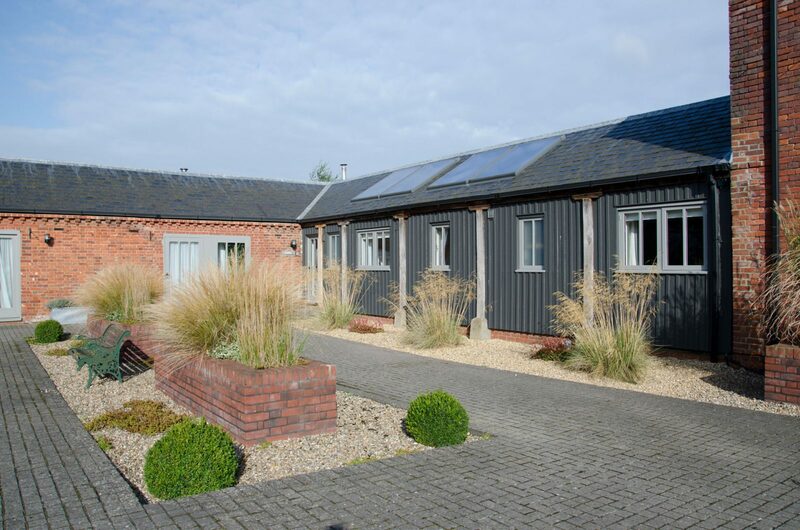 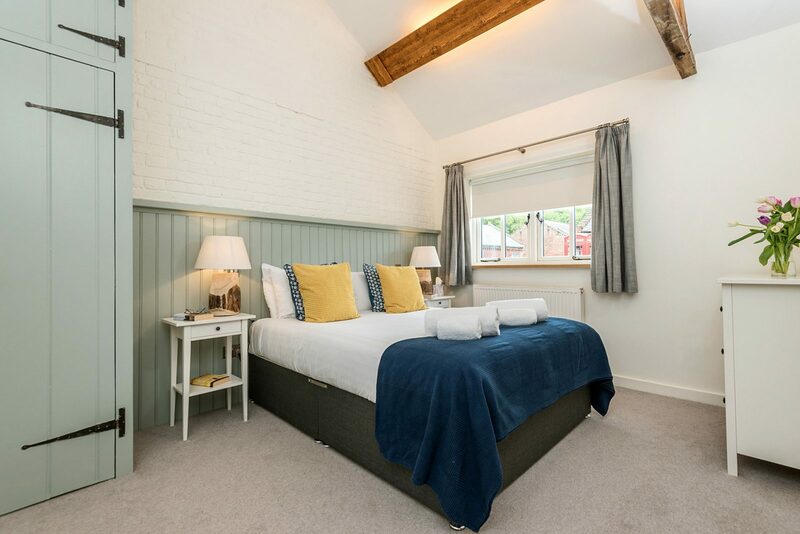 Together the two cottages can sleep 10 including children plus two travel cots. 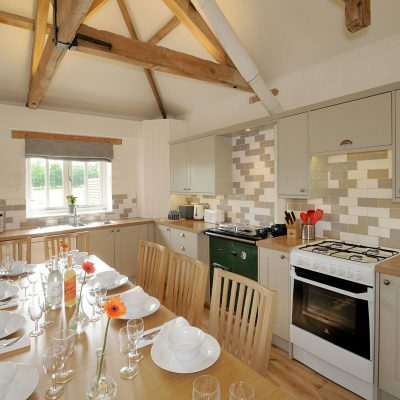 Swallow is particularly popular at Christmas time – guests love to cook their Christmas dinner in the Rayburn and the woodburner gives a cosy atmosphere for the perfect country Christmas. 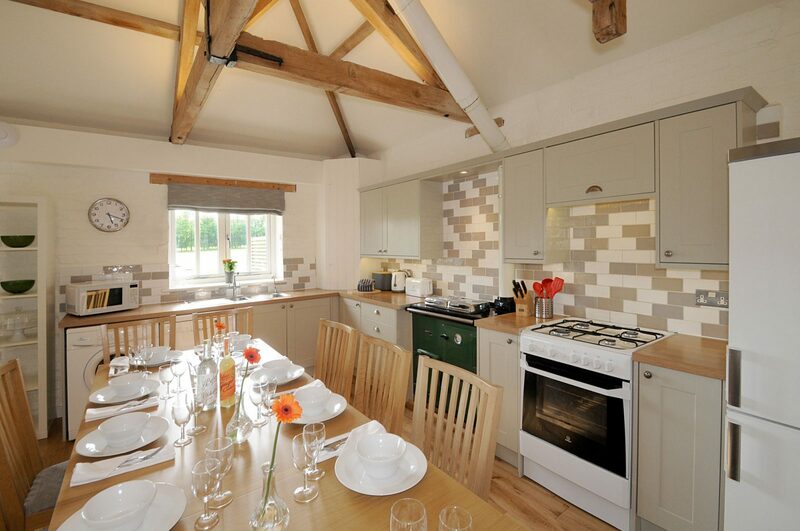 VisitEngland has inspected Swallow and awarded it a 4 star Gold. Please note this property has zip & link beds which can be used as either 2 x 2ft 6” singe beds OR 1 x 5ft king sized bed.